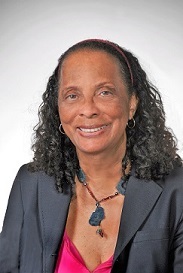 Marian S. Harris, Ph.D., ACSW, LICSW is a Professor at the University of Washington Tacoma, Social Work and Criminal Justice Program and Adjunct Associate Professor, University of Washington, School of Social Work, Seattle. Dr. Harris is a Faculty Associate at the Chapin Hall Center for Children, University of Chicago. She is an Adjunct Associate Professor and Research Advisor for the Smith College School of Social Work, Northampton, MA. She is a former Assistant Professor at the University of Illinois at Chicago, Jane Addams College of Social Work. Dr. Harris was awarded an NIMH Postdoctoral Fellowship and completed a two year postdoctoral training program at the University of Wisconsin-Madison, School of Social Work. She received her Ph.D. from the Smith College School for Social Work, Northampton, MA. Among the awards she received at Smith College were the following: Bertha Capen Reynolds Fellowship, Roger R. Miller Dissertation Grant, and a SAMSA Clinical Training Award. Dr. Harris is a former consultant for the U.S. Children's Bureau. She is a Licensed Independent Social Worker who has a private practice for psychotherapy and consultation in Tacoma, WA. She is the former Chair of the Pubic Policy Council, Children's Alliance of WA. She serves on Human Subjects Review Committee G at the University of Washington as well as the Human Subjects Review Committee for Casey Family Programs in Seattle and is a Consultant for Casey. She is a member of numerous professional organizations. Her research and publications have focused primarily on issues of mothers who have children in the child welfare system including substance abuse problem severity, attachment typology, parental stress, child maltreatment, extended family support, race and family structure, and disproportionality of children of color in the child welfare system, especially African American children. Recent honors include: 2007- Martin Luther King Jr. Volunteer Recognition/Community Service Award, University of Washington, Seattle and honored as one of 2007 UW Distinguished Women; 2006- Certificate of Appreciation for Mental Health Transformation in the State of Washington by Governor Gregoire; Who's Who Among America's Teachers-2004-05; Academic Keys- 2004; Who's Who in Social Sciences Higher Education-2004; Who's Who of American Women- 2004-05, 2007-08; and 2004-Social Worker of the Year Award, Washington State Chapter, National Association of Social Workers. Dr. Harris was recently appointed by the Tacoma City Council to serve on the Citizens Review Panel for the Tacoma Police Department; she is the Vice-Chair of the Citizens Review Panel; she is a Co-Chair for the Washington State Advisory Committee for Disproportionality.